Yummies 4 Tummies :-) | Got a free sundae! Chipster and I love buy-one-get-one deals (actually, I like it more than he does). And we also love ice cream. 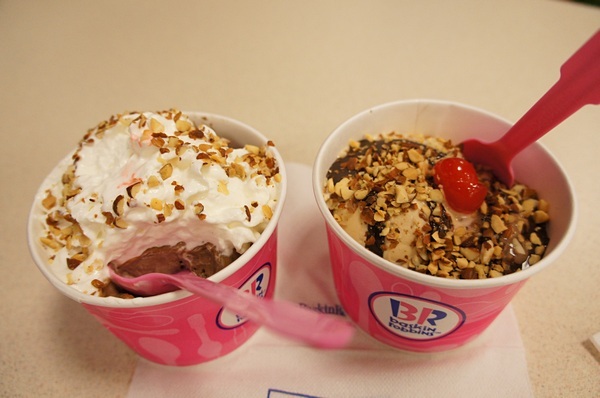 So here’s the scoop: Baskin Robbins has an awesome deal right now! On Wednesdays (it’s Tuesdays for New York metro) through March, buy a Two-Scoop Sundae (includes a topping, whipped cream, nuts, and cherry), and you’ll get the 2nd sundae free. Woot!